The trick to Halloween is to have variety and let the kids choose their own adventure. 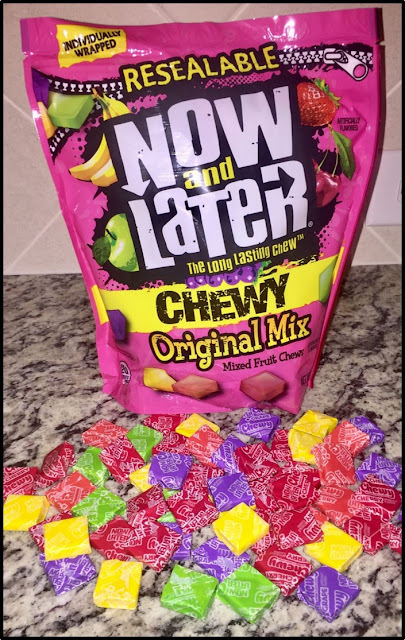 Now and Later Long Lasting Chews are the way to go! Individually packaged, the big 22 ounce bag serves the neighborhood. Five flavors, each in a uniquely colored wrapper. The genius of this individual wrapped candy is that it allows kids to choose their favorite flavors. Not only are they perfect for handing out on Halloween, they're fantastic for Halloween party snacks and favors as well. Not only does Now and Later offer individually wrapped candies, they also have Shell Shocked and Sour Shell Shocked shareable, resealable bags that are super popular with the kids. 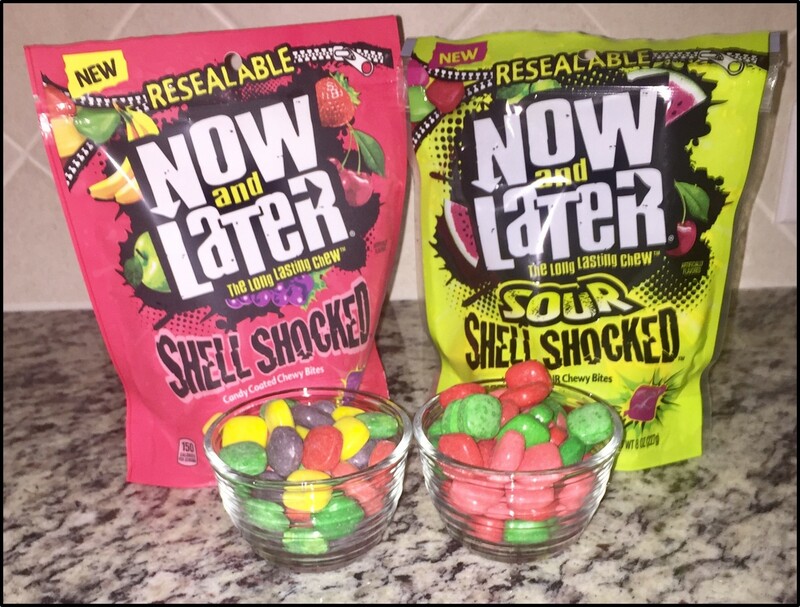 This year, we are sweetening up our Halloween fun with the Now and Laters Chewy Original Mix, Now and Laters Shell Shocked Mix and Now and Laters Sour Shell Shocked Mix. With these three varieties, we're confident that we'll have enough different flavors to satisfy all of our party guests' taste buds! This mix contains the classics: Apple, Banana, Strawberry, Cherry, and Grape. The timeless flavors we all know from a lifetime of dedicated chewing of this delicious candy. This is the bag that you want to use to fill the trick-or-treating bowl this year. call out to be picked out from the pile! These 8 ounce bags are meant to be shared! Each bag contains the same candy recipe and flavors but in a rounded pillow form without a wrapper. We'll warn you, it's hard to each just one. The Sour Shell Shocked chews are for the more daring folks. Sour Apple, Sour Watermelon, Sour Cherry only. Not for the faint of heart! These long lasting candy chews have been tantalizing our taste buds since 1962. That was back in the beginning, with the Now & Later® Bar. From my memory, it's always been the package of five: eat some now, eat some later! Look for these Now and Later varieties at local retailers near you or order online to have them delivered directly to your door! Disclaimer: The products in this post were provided by Now and Later representatives. As always, our posts are our own, honest opinions.